LongIsland.com - Your Name sent you Article details of "Summer Festivals, Fun in the Sun, Events, News & More in August 2nd's Newsletter!" Summer Festivals, Fun in the Sun, Events, News & More in August 2nd's Newsletter! The Sayville Summerfest is here this weekend, and all sorts of other great events are happening Island-wide - check it out! If you've got a passion for Sales, then we want to hear from you! Right now, LongIsland.com is looking for Experienced & Entry Level Account Executives to join our Sales Team. If you think you're the right candidate for the job, then let us know! This weekend, if you're looking to enjoy some great entertainment while dining on an amazing meal, head over to Perfecto Mundo of Commack - they've got live music events to compliment their meals this week! On Friday, Saturday, and Sunday, there will be live music in the evening (see site for details) - a perfect compliment to a savory meal. Through August 8th, they'll also be offering a wide variety of specials, including Puerto Rican Mahi Mahi and Pan Seared Sesame Ahi Tuna. 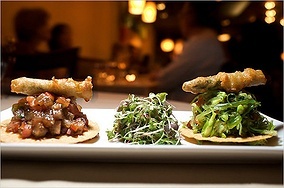 Don't miss out on the great eats & entertainment - call Perfecto Mundo and save a table today! This weekend we welcome August with a mix of warm summer rays and potential rain showers - classic summer weather here on Long Island. There's a lot of exciting things happening this Saturday and Sunday, and throughout the week, including the highly anticipated Summerfest - one of Sayville's most beloved traditions, and a fun fair that families won't want to miss. We'll be there all weekend long, so if you decide to head over to Sayville, be sure to stop by the LongIsland.com Booth and say hi! There are also plenty of other options for indoor and outdoor fun, including a charity car show, additional fairs and fetsivals, and even some educational fun, including great events in some of our local parks. Be sure to check out the LongIsland.com Calendar for the scoop on all the best upcoming events, & make the most of your summer! Sayville Chamber of Commerce's 2013 Summerfest! Join the Fun in Sayville August 2nd, 3rd, and 4th! This weekend, you won't want to miss the festival of the Season - Summerfest! Welcome August with the town of Sayville at their annual Summerfest event happening this Friday, Saturday, and Sunday. There will be rides, great food, family fun events and attractions, live entertainment, craft vendors, and so much more! There will also be a wine and beer tasting area on Saturday, a Vintage Car Show on Sunday, and so much more! Come out and enjoy a weekend packed with family fun out in Sayville - you won't want to miss this! For more information, check out their event listing, or call 631-567-5257. The calm waters of Long Island's rivers are an ideal location to enjoy easy paddling amidst beautiful scenery. 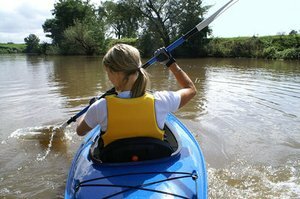 Anyone can rent a kayak and begin to paddle, most people don't take a lesson to learn the essentials of kayaking - it's a fun way to enjoy the outdoors, and you don't need to be a pro to have a day of fun kayaking. To help you on your way, we've put together a guide to the beginning skills you'll need to understand before getting into and paddling a kayak, and where you can get everything you'll need to hit the water once you've learned! To Get the Scoop on Local Kayaking, Read the Article in Full on LongIsland.com! Rolling River Day Camp's 2014 Enrollment is Now Open! Discounted Rates Available Now Through August 29th! Rolling River Day Camp's enrollment is now open for their 2014 Summer Camp, and now, through August 29th they're offering great discounts on their wide variety of flexable camp packages. In addition to their Early Bird Discounts, they're offering Alumni Discounts for returning campers who will be joining Rolling River for another great season of fun in the sun. For First Time Campers, they'll even be offering a 2 Week "Trial Camp Program", so you can rest assured that your child is enjoying their camping experience this summer. This year, Rolling River will also be offering a new program for 2 year old toddlers - allowing your little one to interact with other kids and make new friends earlier than ever before! If you're considering enrolling your kids in Summer Camp next season, give Rolling River a call today, and find out more about their great programs and rates for 2014! For more information, please visit their website, or call 516-593-CAMP(2267). Looking for some outdoor fun this weekend? Come on down to the Sayville Summerfest for a weekend of fun featuring art, crafts, street vendors, and rides! Starting this Friday, August 3rd, this festival will include a fashion show featuring the Manhattan Dolls, as well as Beer & Wine tasting, live music, a military artillery exhibit and ceremony, cooking demonstrations, swing dancing, classic cars, and more! The event will happen all weekend from 9:30AM-6PM. Don’t forget to stop by Longisland.com’s booth to say hello! If you’re looking for something different this weekend,head out to Babylon Town Hall for the 33rd Annual Paumanauke Pow Wow! The annual celebration will begin on Friday, August 3rd, and continue on Saturday, August 4th, starting at 10 AM.This celebration of native traditions will include aztec Dancers, traditional dancers, audience participation, traditional drums, native food, dance competitions, quality traders and speciality dishes! Admission is $10. Don’t miss on this great chance to learn all about native culture! Head on down to Massapequa Park this weekend for some great family fun! The Massapequa Park Street Fair will be happening this Saturday and Sunday, August 3-4th, from 11AM-6PM and is sure to be a fantastic time! The fair will feature delicious food, arts and crafts, antiques and other unique items! This event is free for everyone so bring the whole family. Come rain or shine! Are you a car fanatic? If so, head on down to Novak Motors this Sunday, August 4th, for a fun-filled day of classic cars, food, music and entertainment held in support of Children's Safety! The show will include a swap meet, classic cars, 50/50 raffle, music by Stylin' Sounds DJ, vendors and much more! Admission is $5 for spectators and $15 to show your car. All proceeds will go to the Rose Brucia Educational Foundation in Islandia! Don't Forget to Check Out Our 2013 Ultimate Summer Guide for a Round Up of All the Fun! Bob Kandell is an independent insurance broker with over 27 years of experiences helping sole proprietors and small businesses find the right plan to suit their needs and budget. He serves both Nassau & Suffolk Counties, and offers a variety of plans, including plans with dental and long term care options.